We love cooking with Whole Foods Market ingredients! Just in time for back-to-school season, we are excited to bring you some of the latest goodies from Whole Foods Market to help time-crunched families get into the swing of things with fun, nutritious frozen foods! If you want to serve your family fresh, delicious meals, but find yourself short on time-- make the freezer your secret weapon this back-to-school season! With a visit to Whole Foods Market, you can unlock your freezer’s potential—and we’re not talking about making a TV dinner—by planning healthy, flavorful meals in advance. Start the day off right by getting your fruits and veggies first thing in the morning. Prepare a great breakfast with the 365 Everyday Value® line of organic frozen fruits and veggies— all free of artificial preservatives, colors, and flavors. Create an easy morning smoothie, or simply defrost some frozen fruit and toss in your yogurt or oatmeal. When it comes to lunch and dinner planning, high-quality meals can be arranged simply and quickly with the proper preparation. · Whole Catch® Fillets are available in Sockeye Salmon, Mahi Mahi, Turbot and Monkfish. The fillets are all wild caught, vacuum-packed and flash frozen, so home cooks can make as much as they need and save the rest for another meal. Try this Easy Teriyaki Salmon Rice Bowl for dinner in a flash. · Whole Catch® Crunchy & Peppery Popcorn Shrimp is great finger food to make seafood fun for the whole family. · 365 Everyday Value® Lightly Breaded Calamari is great on its own with cocktail sauce, or use it to make this Crispy Calamari Lettuce Wraps for lunch or a light dinner. · Nature's Rancher Ready-to-Cook Chicken Burgers are a great weeknight meal option. Serve with seasonal vegetables or add 365 Everyday Value® Organic Frozen Sweet Yellow Corn atop your burger. · Nature’s Rancher Hot Dogs are a favorite for the whole family. If you want to spice it up for the adults, use with this Homemade Fennel Mustard recipe. · 365 Everyday Value® Meatless Burgers are the perfect option for the vegan or vegetarian at your dinner table. A good source of fiber and protein, these vegan burgers have no cholesterol or saturated fat—making them a healthy meal option for the whole family. · Nature's Rancher USDA Certified Black Angus Beef Burgers are a great option for family meals or even a quick tailgate because they're pre-grilled to perfection and frozen to lock in flavor. Just heat and eat! And last, but certainly not least, are the grains and vegetables! 365 Everyday Value® frozen organic vegetables are frozen at the peak of freshness and are a fraction of the cost. Cook veggies with 365 Everyday Value® Organic Brown Rice for a quick and nutritious dinner. 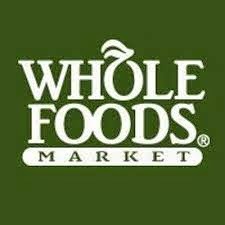 Visit your local Whole Foods Market today to find all of these fantastic goodies and much more! !